Input text: There is a enormous reflective eye. it is evening. There is a tiny tv 3 feet in front of the eye. the tv is facing the eye. There is a dog next to the tv. 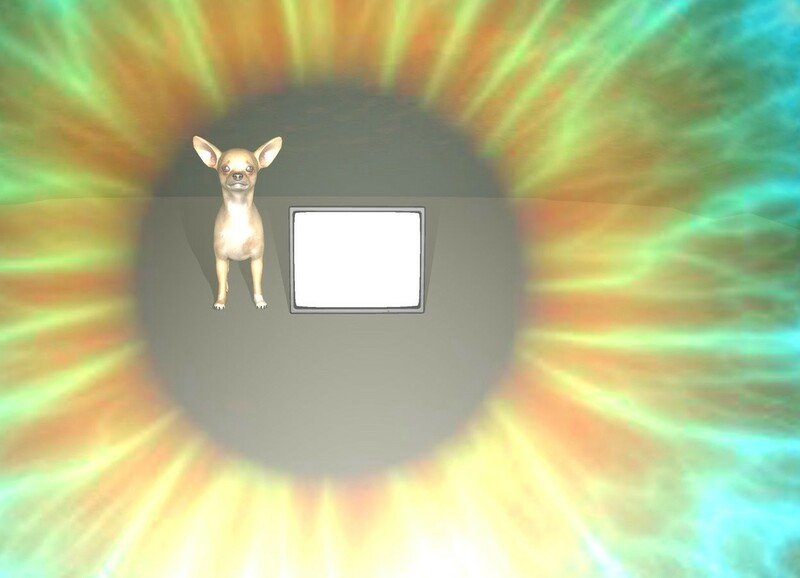 the dog is facing the eye. the ground is unreflective.